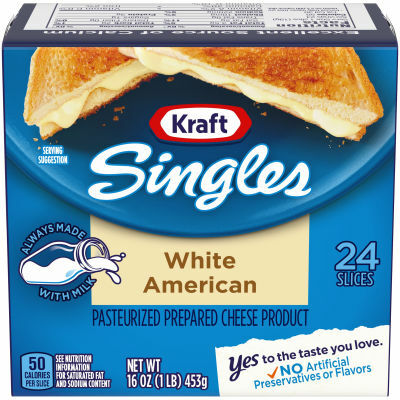 Made without artificial preservatives or flavors, Kraft Singles White American Cheese slices are a great food choice the whole family will love. Enjoy the classic White American flavor and creamy goodness of these cheese singles on your next sandwich, burger, or grilled cheese. Pick up our 24-count package today to experience the one-of-a-kind taste of Kraft Singles.